Some of my research entails data that is rather dull with numbers and percentages and dry quotes by New York State senators about juvenile delinquency. This is all part of it like any research topic. However, I also come across very interesting minutiae on a regular basis. In 1958, the trial of seven boys who were involved in young Michael Farmer’s murder in July 1957 took place. The trial had all the hallmarks of a made-for-TV movie. The lawyers for the defendants were numerous, vocal and aggressive. The prosecutor did a masterful job of getting the point across with much consternation, there was a court outburst by a preacher from out of state, friends of the defendants ominously watched the proceedings from the court and there were numerous death threats. Some of the death threats were directed at the Judge in the trial, others towards the prosecutor and some were to the star witness Roger McShane. 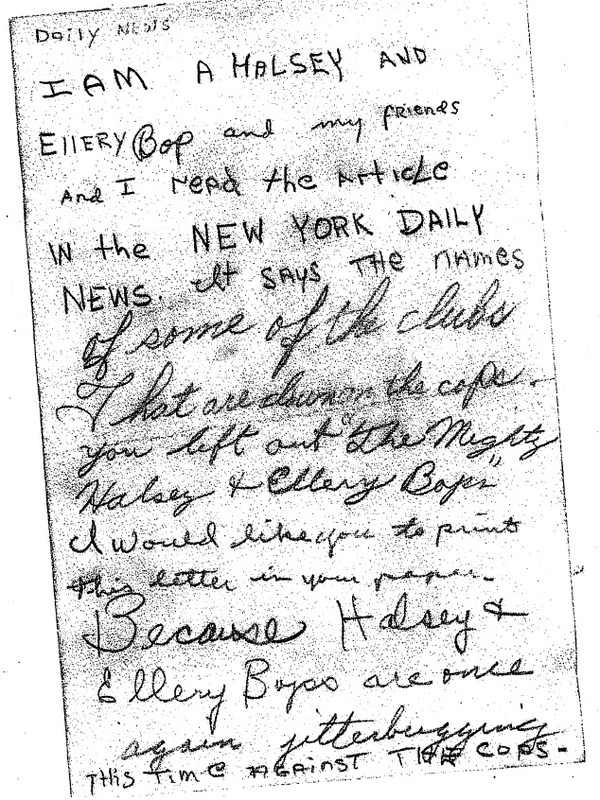 This threat written to the Daily News received a lot of publicity and so with the Ellery Bops and Halsey Bops feeling left out, they sent their own threat to the Daily News. Perhaps in their minds they thought this would garner more of a reputation amongst the gangs in the city. We don’t know who in the two respective gangs crafted the letter, but it stands as a very interesting piece of history on youth gangs in New York City in the 1950s.